New Farrow and Ball Colours! The wait is over and Farrow and Ball have finally released their nine new colours. The new collection ranges from dusty pastels to warm neutrals and bolder colours, some bright and some dark. The colours are designed to integrate with Farrow and Ball’s existing collection as well as stand on their own, and just as you would expect from the company the colours are rather lovely and have that same English heritage feel about them but with a contemporary twist. So without further ado here are the nine gorgeous colours in all their glory! There are three elegant neutrals in the new collection, Drop Cloth, Shadow White and Cromarty, each with their own distinct set of shades and hues. Shadow White is a wonderful soft white and Drop Cloth its slightly darker mate. The two colours work perfectly in sync with one another and are a suitable palette for those wanting a contemporary look in their home. The colours are a modern alternative to the already existing neutrals in Farrow and Ball’s collection as they have less yellowy tones in them, but also avoid grey tones, the ‘of-the-moment’ colour, making Shadow White and Drop Cloth contemporary classics. 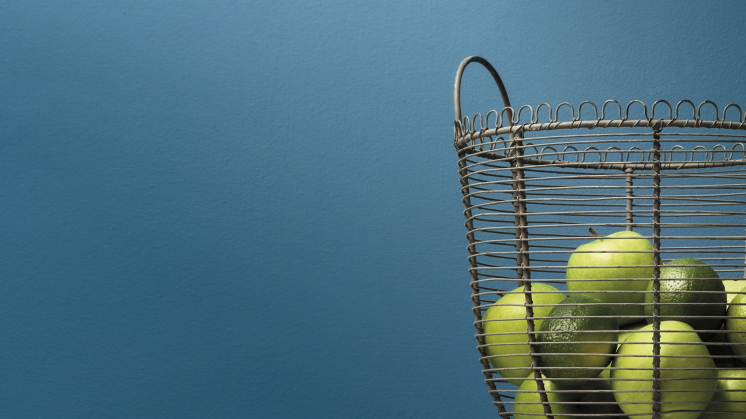 Cromarty is a great colour choice if your room is in need of a neutral tone but you enjoy a subtle hint of blue as well. As the light changes throughout the day so will the colour of Cromarty giving you a quietly diverse paint colour. The pastels in the collection have a sophisticated and muted tone about them, making each of them suitable canvas colours for a room, as they work in the same way a neutral does but with a fresh hint of additional of colour. 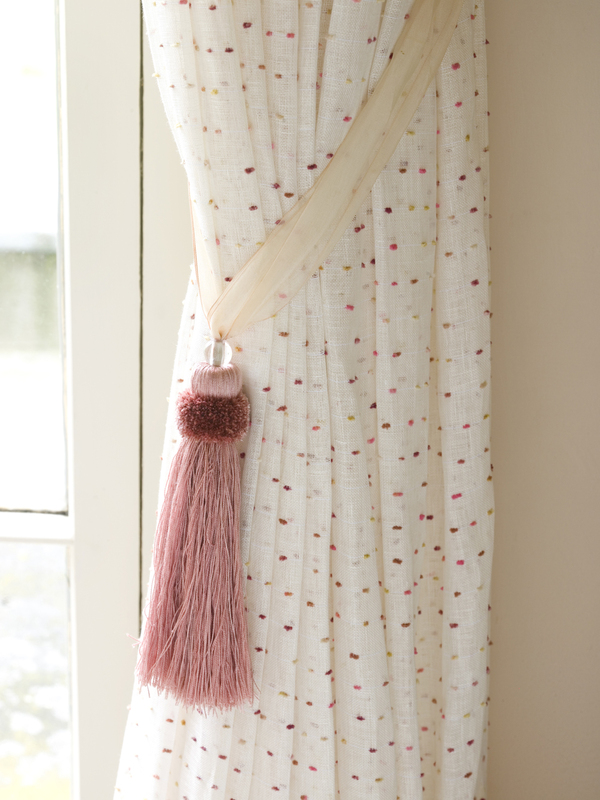 Peignoir is a dusty pink full of romance, but in a way that doesn’t overload and become sickly. It carefully maintains a dusty cool ambience and avoids the fatal ‘dated’ look, allowing Peignoir to settle in the contemporary category. Farrow and Ball have carefully curated their new collection of colours not to be completely different from their existing set but to be the perfect companions and counterparts to one another. Each new colour has been created with older colours in mind to create a wonderful balance between the old and the new. 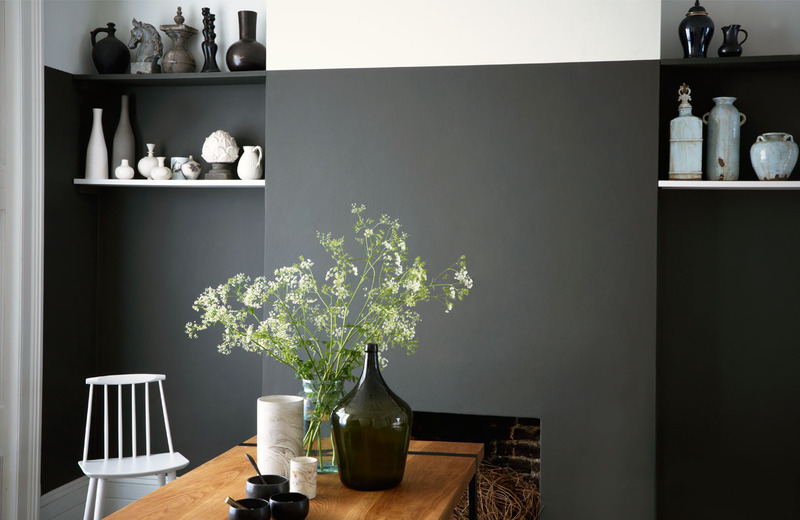 Worsted is the middle-ground shade between Purbeck Stone and Mole’s Breath, and the subtle distinction between the shades can make all the difference in your interiors. The discovery of the Yeabridge Green has a rather sweet backstory, the colour was found at the 18th century Georgian farmhouse when the house’s original gun cupboard was removed. Its avocado tones make the colour very ‘now’ while its backstory gives it that heritage vibe, creating a seamless balance between past and present. The remaining three colours from the new collection are beautiful, bold colours. Vardo is a bouncy blue that has its spirit levels up in the skies. It’ll be great for giving a room that extra bit of oomph it may be lacking and rebooting a tired interior. For a slightly deeper shade, the Inchyra Blue is glorious. It dips into many different colour families, blue, green, grey and whatever way you want to interpret it the outcome will always be a wonderful, strong colour that will make a statement if you want it to. The final colour from the collection is a dark and moody chocolate brown, Salon Drab. It’s a beautifully rich, thick colour that is well suited for the all-four walls dark colour trend, it will create a wonderful cosy atmosphere without compromising on elegance, well suited for both heritage and contemporary properties. So there you have it the nine new colours from Farrow and Ball, their timeless nature will allow them to combine with the existing colours effortlessly and we have a feeling the some of them may fast become your favourites! Coming Soon… New Farrow & Ball Colours! 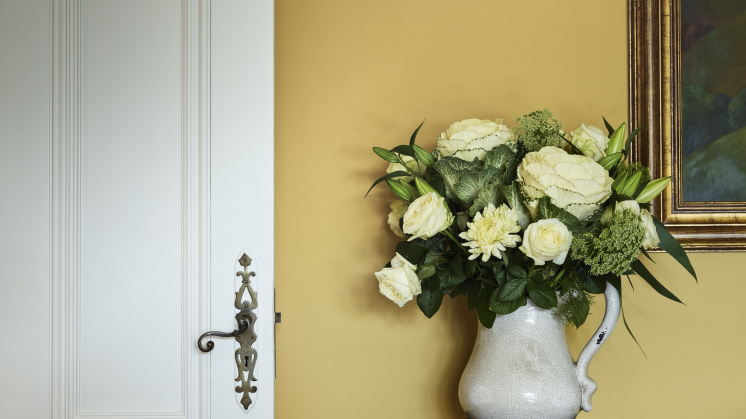 Farrow & Ball are releasing 9 new colours on 1st February, we’ve seen them and they are lovely! Panelling is a wonderful and practical way to add character to a room and can transform a plain wall into a beautiful backdrop for your furnishings. Some homes have the great advantage of still having their original panelling but if you haven’t inherited any with the house, there is no reason that it can’t be added. If you choose the right style of panelling for your home and get the colour and the execution right, it will look as if it has always been there. The wonderful wooden panelling at Sawston Hall would have originally been installed to help insulate rooms from the cold stone walls. It also adds a lovely depth of colour to the rooms. 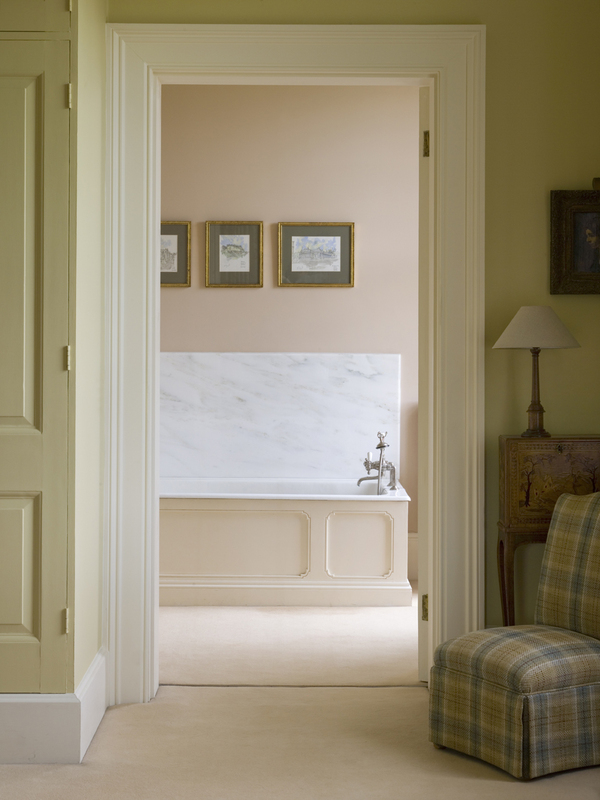 Painted panelling makes a room lighter which can be easier to live with. It also offers endless colour options so you aren’t restricted by a backdrop of wood. This lovely room is painted in Farrow and Ball French Grey and the colour has been applied to the walls, cornicing, skirting boards, door and door frame – everywhere other than floor and ceiling – which creates a calm, unified look. This beautiful hallway in a Victorian country house was given some detail with simple panelling framing the wall areas below the picture rails, which were painted in with the colour of the walls. Bathrooms can benefit hugely from panelling and is especially useful when incorporating a roll top bath as a simple ledge can be created on the top of the panelling for your soap dish, shampoo and cup of tea. The style that you choose for your panelling is really important and will alter the feeling of the room. This lovely panelling from the Painted Wall Panelling Company has a distinct Arts and Crafts feel to it and creates a wonderful ledge to display accessories. You can make a really bold statement if you choose contrasting colours above and below your panelling. Your eye is naturally drawn to where the colour changes so the height of your panelling needs to be considered carefully. If you choose a dark colour for your panelling, make sure your skirting boards are in the same colour as the panelling or you will end up with a white stripe at the base of your panels. It is fine to panel around your windows if they fall below the height of the panelling that you choose. This delightful bathroom makes a feature out of a pretty window by painting it the same colour as the panelling. Panelling by The English Panelling Company. Finally artwork looks great on panelling and if your pictures are larger than the panels , it can still work to hang them across the panels. 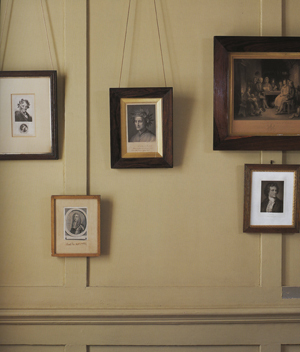 These pictures work really well against the panelling as they have been centred across the panels. Panelling by The Wall Panelling Company. 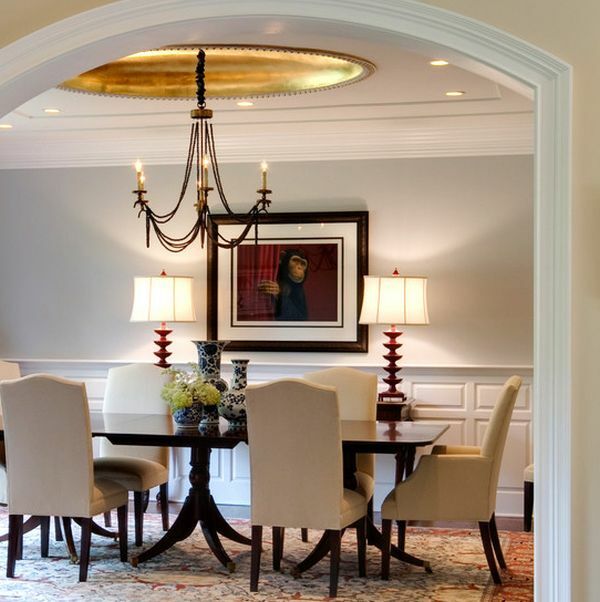 All the rooms featured here have a traditional feel. However, panelling can look just as wonderful in contemporary settings – we will be bringing you a feature on this soon, watch this space! Farrow and Ball launched three delightful new wallpaper designs yesterday, each one in a range of their own colour combinations, and the results are stunning. 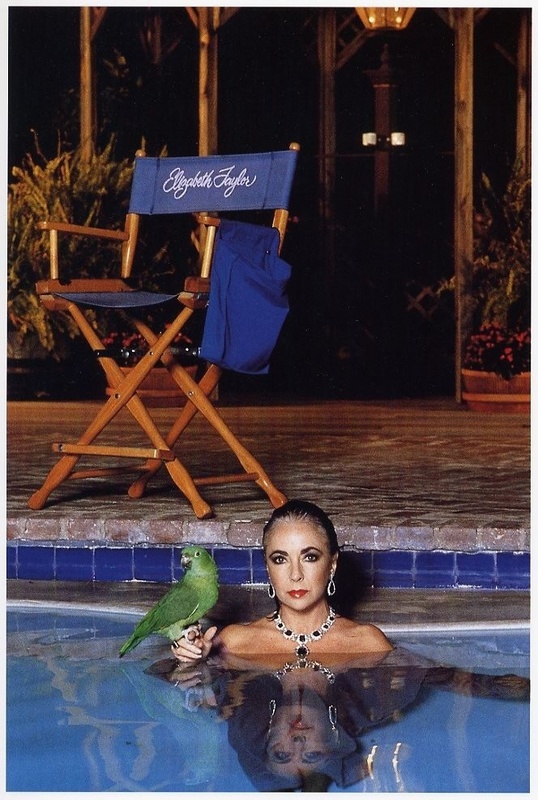 The designs are inspired by French fashion designs and they seem to me to conjure up a charming taste of the past. To celebrate the launch, we have created schemes combining the new wallpapers with paint colours, fabrics, trims and flooring. They are on display in the Farrow and Ball Cambridge showroom but if you can’t make, here is a look at our work. The wallpaper above is the beautifully delicate Feuille and we have combined it with warmer greys and delicious bluey purple hues to create a fresh, inviting and feminine scheme. The schemes uses Ammonite, Purbeck Stone, Brassica and Charleston Gray. This amazing Paisley wallpaper is a wonderfully traditional print that also manages to seem very modern. We have created two schemes to show how contrasting looks can be created using the same design in very different colour combinations. The scheme above uses a background colour of Railings which is a deep inky blue black with a dash of Charlotte’s Locks orange and the light touch of Dimpse and Strong White. This scheme is deep and mysterious and only works if the dark colours are in the significant majority with just a confident dash of orange and light greys. 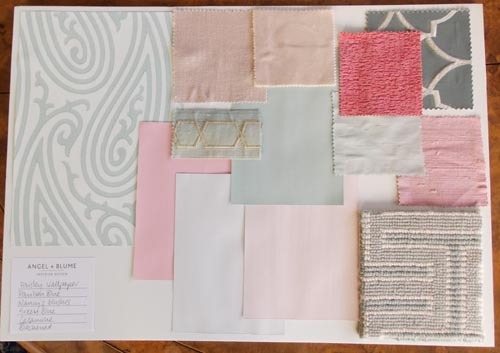 The second scheme using the Paisley wallpaper seems reminiscent of summer tennis parties and a gin and tonic on the terrace. The background is Pavilion Blue and is combined with Green Blue, Nancy’s Blushes, Calamine and Blackened. The key with this scheme is to keep away from creams – use Pavilion Blue or Blackened on woodwork or ceilings, cream or off white seems to destroy the beauty of the delicate colours in the wallpaper. Finally the wonderful paper Tourbillon. I think it has just a hint of Art Deco about it, but I could be wrong. Either way, I chose the divine Calamine colourway and combined it with the very grown up (and close to my heart) Brinjal in a gloss finish, plus Smoked Trout, Calamine and Raddicio. If you would like any other details of the schemes, please let us know.